A driving tour of the towns and villages north of Rome. 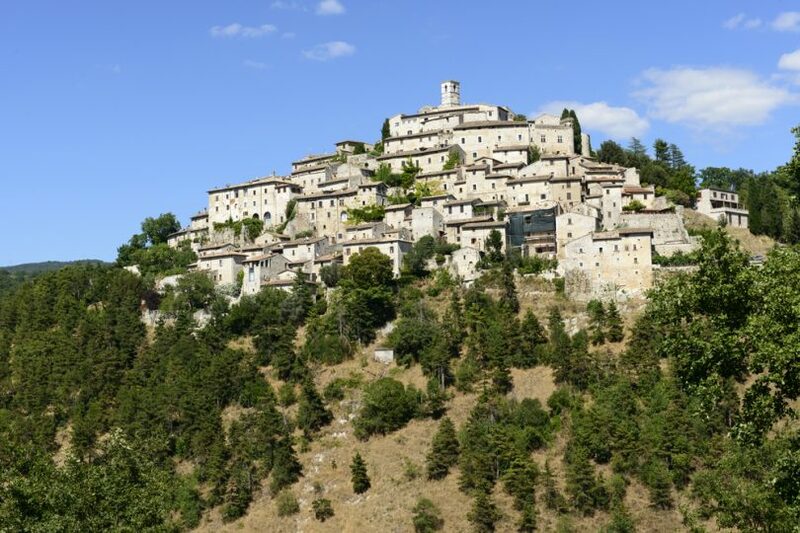 In this second article on the medieval hill towns around Rome, we’re focusing on is the Rieti Province, part of the Lazio Region just north of Rome. Again, using Rome as the starting point, the driving tour includes 5 towns, with a total round-trip drive of about 155 miles — a comfortable one day tour. There are other towns along the way, such as Cottanello and Toffia, but they’re just more of the same and so were left out. As we’ve pointed out in other driving tour articles, some towns may only be worth a drive through while others might require more time. Budget your time accordingly if you want to see everything, and try to plan ahead where you expect to have meals. You can find restaurants in each town on either yelp.com or tripadvisor.com. Winging it is not always a good idea when it comes to these small towns. ​We also want to remind you to use a GPS so you don’t waste time getting lost, which can easily happen in Italy. And it’s best to plug in each town to your GPS before you leave home, save it, and then pull up each town from your saved destinations when you’re ready to move on. You should also print out the itinerary pages so you have a hard copy while on the road.